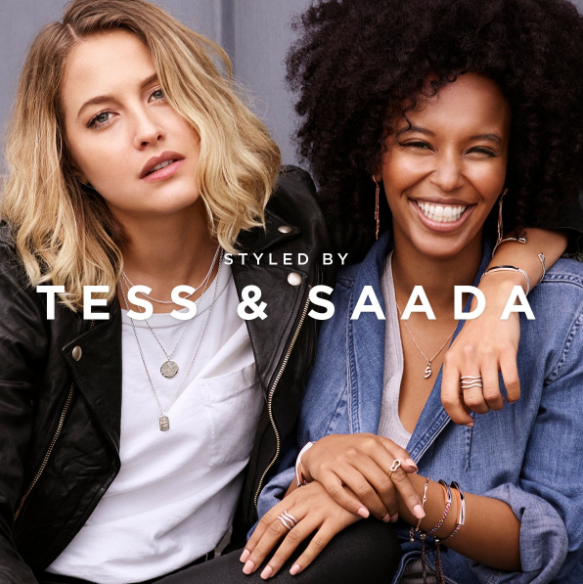 British jewellery brand Monica Vinader has unveiled its AW17 campaign style by the brand’s two muses, Saada Ahmed, co-founder of Everyday People and Tess Ward, a Le Corden Bleu trained chef and food consultant. The new campaign is part of the brand’s ongoing celebration of real women who wear Monica Vinader. For the shoot, Ahmed and Ward were given the freedom to bring their own distinct perspectives to dynamically style a mix of new diamond and semi-precious gemstone pieces alongside current collections. The campaign was led by fashion legend Caroline Issa, chief executive and fashion director at TANK Magazine, who served as creative director. Shot by fashion photographer Johan Sandberg in central London, this series of portraits continues to illustrate what is most important to the brand: celebrating individuality, empowerment and the joy of everyday fine jewellery. The brand has supported the campaign with interviews with Ahmed and Ward on its MV Blog online.